Stunning 2nd floor condo with elevator and water view is now on the market. 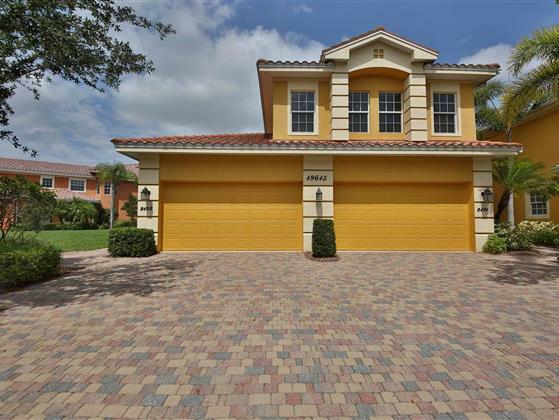 Gourmet kitchen with walk in pantry, great room and bonus room Miromar Lakes is masterfully designed around 700 acres of fresh water for boating featuring a stunning Clubhouse, the Blue Water Beach Grill, a 10,000 sq. ft. infinity pool and spa, fitness center, tennis courts, European Spa & Salon, movie theatre, billiard table, card room, informal, formal and private dining, fishing, skiing and swimming, miles of beautiful white sandy beach with cabanas. Golf Membership is available and located close to RSW Airport and extensive shopping and entertainment options. It is understandable why Miromar was voted #1 Community in the US.